Business software solutions that work for you and your business. Applications for Android™ with Merlin. Manage sales, and deliveries with ease. Plus get increased power at the Trade counter. New for 2018 – Rebates Module. Manage your rebates with Merlin, works for Customers & Suppliers. Added bonus, it works for commissions too. We specialise in creating tailored business software that improves processes and efficiency across a range of different industries. We know how important it is to be quick and easy to use, with this in mind, Merlin Business Software is designed to give Builders Merchants all the tools that you need to succeed. Software flexibility and visibility is as important to us as it is to you. This is an area where Merlin Business Software helps the drinks supplies industry, including wine and spirits merchants. Covering such a wide spectrum of business Merlin is flexible enough to meet your requirements without impact on its performance. With Merlin you get a flexible ERP system that is fast, reliable, scalable and powerful enough to meet the demands of the electrical supplies industry. From dealing with the wide variety of products to offering barcoding as standard, whilst also including gap selling and alternative product suggestions ensuring you never miss a sales opportunity. With Merlin you have everything you need for success in the Engineering Industry, from standard core modules that include Sales Order Processing, Stock Control, Invoicing, Sales, and Financials, to the Trade Counter solutions. Merlin has been developed to optimise the business processes, providing you with all the tools you need for business success. We want to make sure your business grows, and we’ll grow with you. Merlin have been working with members of the food service distribution industry to ensure that you get the best product available, working with you, to grow with you. From offering improved stock control to the sales essentials you need to ensure that all sales opportunities are taken advantage of and nothing is lost. With immediate access to information within Merlin including stock availability, alternative products, forthcoming supplier or production deliveries, special customer pricing, line by line profit margin, customer sales history and outstanding customer order information, you too can experience a significant growth in sales and profitability. With Immediate access to all relevant data enables you to respond to every potential sales opportunity with the maximum of efficiency needed to be a success in the Medical and Dental Supplies industry, Merlin Business Software is the tool you need. We know how important it is to have all the information to hand, this is why Merlin Business Software is ideal for the Packaging Supplies industry. Merlin provides you with immediate access to information ensuring that you never miss a sales opportunity, whether this is over the phone or in person. With access to all the information that customers in the Heating and Plumbing Supplies industry require, Merlin ensures that you never miss a sales opportunity. 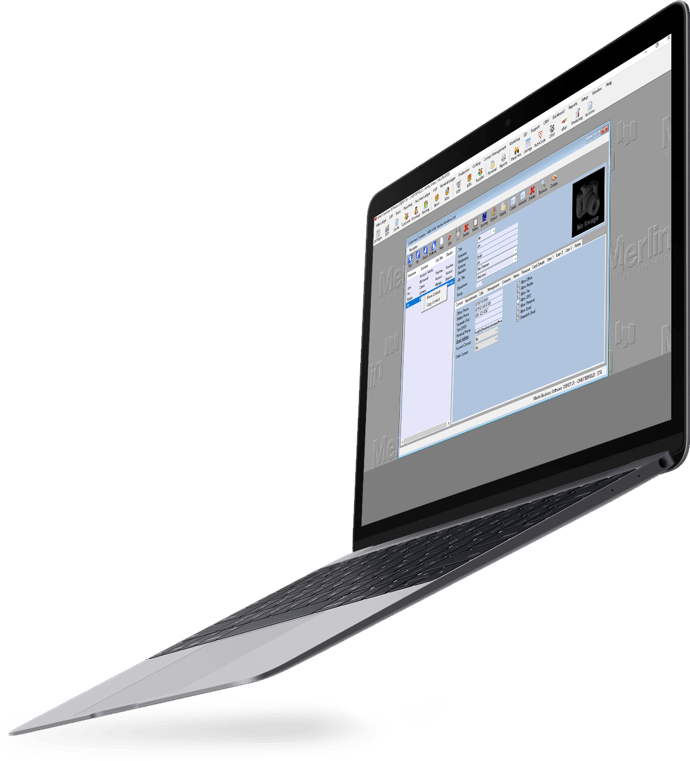 We know how important up-to-date information is to the tools and hardware supplies industries, that is why at Merlin we have used our 40 year’s experience to develop an integrated software solution that is designed for you. Reduce costs, increase efficiency and achieve your ROI. Our Intuitive solutions and dedicated support team allow you to focus on the job at hand. With a carefully selected range of core modules, Merlin is a fully integrated software solution for all your business processes. Merlin Analytics delivers advanced business intelligence and distributor analytics across manufacturing, distribution, wholesale and merchants. It’s your data, your way! Merlin’s Contact Relationship Management (CRM) has been designed to proactively manage accounts, relationships, and interactions to ensure relationships are managed in a professional and efficient manner. Merlin’s fully integrated Management Accounting system incorporates Sales, Purchase and Nominal Ledgers with full Sales and Purchase Ledger transaction posting and unlimited reporting and analysis. Merlin makes Purchase Ordering easy, linking with the Stock Management, the Purchase Order Processing (POP) module facilitates real-time, accurate stock replenishment. Maximise every sales opportunity with Merlin. Create sales orders and quotations quickly and easily via the web, trade counter and back office sales. Avoid overstocking and having ‘dead money’ sat on the shelf with Merlin. Our Stock Control provides you with control over all areas of Stock to help you to optimise your stock investment in a number of ways. Our stock takes have become much more streamlined and we've gone one step further by customising the reports the function generates to match our needs. 360 degree view of the contact means following up customers is so much more efficient than spreadsheets of data or 3rd party CRM systems, with the outlook add-in nothing gets missed. So quick and easy and love the fact you can email it straight to yourself or direct to the customer…Freed up so much more time benefiting both us and our customers. The ability to import vast amounts of data anywhere into the system gives great flexibility and efficiency to the user…When managing thousands of discounts/products and customers, without it I would be continually bogged down with manual data entry. Using the Allocation feature allows fast order processing when picks match sales order entries. If you don't have enough stock you can downsize order line to automatically place items on back order. The system is designed to allow all users to perform their day to day roles to the top of their ability, allowing all information to be at hand whenever and wherever it is required. this experience then passes along to the client by the means of information provided when making any call to the sales team. It frees up the purchasing departments time, improving productivity and saving money for the company. Having a system can be easily customised to our individual needs is also an advantage that we would now be lost without. Our Financial Director has advised this new system is saving about 2 days per month work, as paperwork is not having to be stored alphabetically/numerically. Great piece of software. Every project we work on is a collaboration, and every software solution is as unique as your business. Check out just some some of our success stories below.